As part of the London Underground’s 150th celebration’s last year, prairie tank 5521 was painted in (albeit historical incorrect) Metropolitan lined red colours and numbered L.150. Prairie tank’s were never owned or run by London Transport, which (to be fair) is something that has been made clear by all parties. I happen to think the livery is quite attractive, despite it being fictitious. 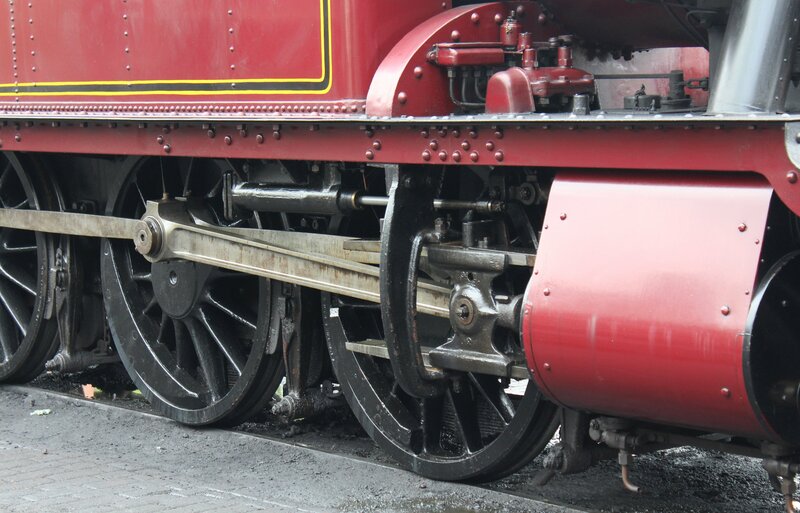 A Westinghouse air pump (above) has been fitted to the locomotive to allow it to haul air-brakes stock as well as the normal vacuum fitted. 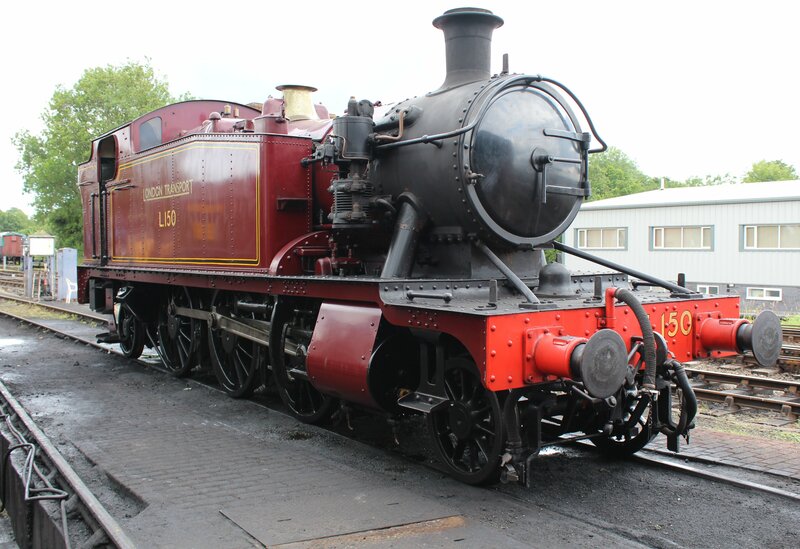 The prairie tank is on hire to the Bluebell Railway, along with it’s GWR sibling, 56xx 5643. Don’t forget to support the “Keep Up the Pressure” appeal (please click here to read more) to help the line get its own fleet back into action again. To read more about my visit to the Bluebell Line click here. 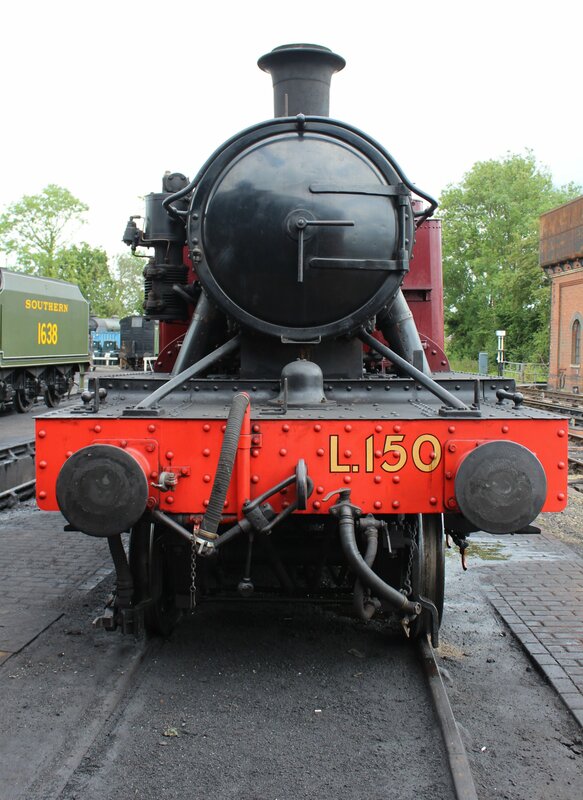 Thanks for looking and feel free to make any comments about the locomotive being in this guise! 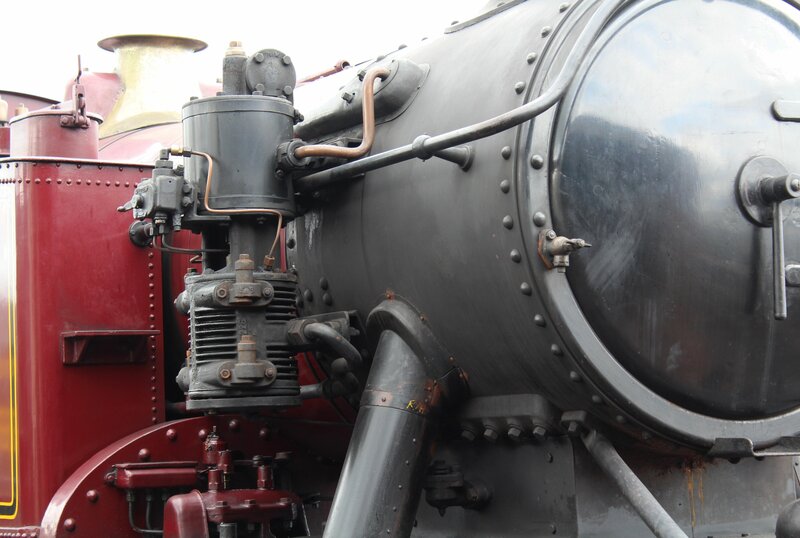 21/07/2014 in Bluebell Railway, Real Locomotives.